As with the America’s CupWhether apocryphal or otherwise, and whether ‘Your Majesty, I regret to report, there is no second’, or “Ma’am, there is no second” the response to Queen Victoria beautifully sums up the cruel reality of two-party politics., coming second place in party politics generally equates with losing. Until recently, it had been looking as though the hospital pass Bill English received from the charismatic, if unchivalrous, Sir John Key might not prove fatal. But it is increasingly unlikely that the ailing New Zealand National Party leader will come off life support. However, regardless of the outcome on 23 September, about half of the electorate will be disappointed, because despite this being the eighth general election since the introduction of proportional representation, New Zealanders and their politicians are still treating politics primarily as a two-party system. In Germany, where proportional representation has been bedded in since 1949, two main parties have governed in grand coalition for the last 12 years, and look set to do so for another four. In the 2013 election they accounted for 448 seats between them, of a total of 631, and in polling ahead the current election, which is the day after New Zealand Election Day, they have better than 62% between them. Although this is about eight percentage points below their 2013 result, it will still, provided the stable, two-month long trend continues, provide the coalition with a convincing mandate. …the fractured party politics of the Weimar Republic and its subsequent downfall, which ushered in the Nazi dictatorship in 1933. 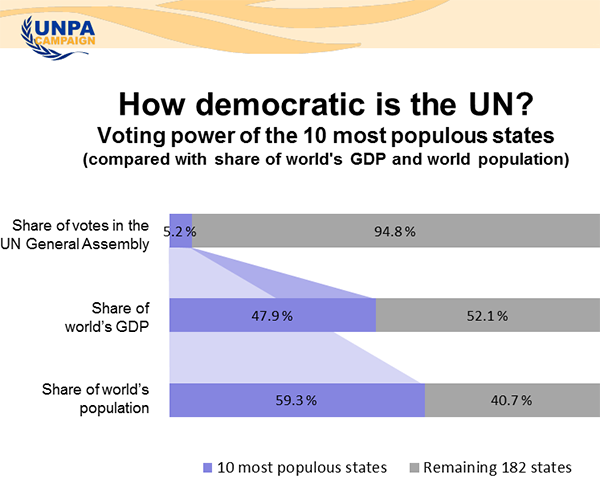 But even Germany is now realising that the 5% threshold is proving to be deeply undemocratic. In the 2013 election, 15.7% voted for parties that failed to make the cut. With the New Zealand Greens polling just 4.3% in Thursday’s 1 NEWS Colmar Brunton poll, the Māori and Opportunities parties on 2% each, and no guarantee that even New Zealand First won’t escape the Jacindanator, Aotearoa could see a similar percentage of votes wasted. The invariable staggering omission, when thresholds are being discussed, is any realisation that it is not the exact level threshold that is the issue, but the lack of opportunity to express a preference for more than one party. For example, if a voter passionately wishes to support the Green Party but, in the event of it failing the 5% threshold, earnestly wishes the Labour Party to benefit, rather than ticking the Green box and preying, that voter should be able to rank Green Party 1, and Labour Party 2. The Mahurangi Magazine ’s justification for citing the Green–Labour example is that, for the first time since 1993if it being part of the Alliance alliance can be counted, it is possible that the Greens will not be represented in Parliament. An appropriately precautionary approach would be to not remove the threshold completely, but to reduce it to the originally recommended 4%, and to introduce preference party-voting. Then, once the electorate appreciated the reduction in wasted votes, the threshold might be further-reduced, a percentage point per election, and the results monitored. It is likely that New Zealanders, after the farce of one-person parties courtesy of the despised coattail provision, would prefer a threshold that ensured a party had at least three or four members, before it was permitted to take up Parliament’s precious—at least it should be—time. When people say leaders don’t count, and only policy does, they are dreaming. The other area in which the Electoral Commission lacked courage regards the democratisation of the coalition process. Political pundits are enormously relishing their standing prognostication that Winston Peters will again be king-maker. But the only reason the leader of a party that has slumped in the polls to single digits could hold such disproportionate power is if the major parties, Labour and National, allow him such undeserved dictatorial power. Even on 8%, New Zealand First would only win 13 of Parliament’s 120 seats, and Labour and National, between them, 107. 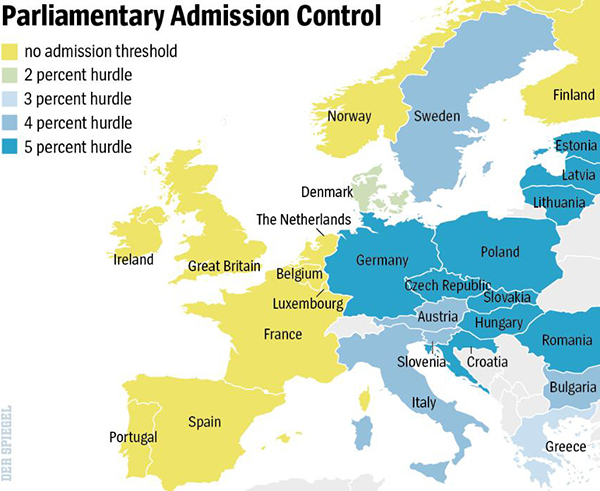 Although in Germany the two major parties account for a 10-percentage-point smaller share of the seats than their New Zealand counterparts, rather than allow themselves to be played off against each other, they govern in grand coalition. 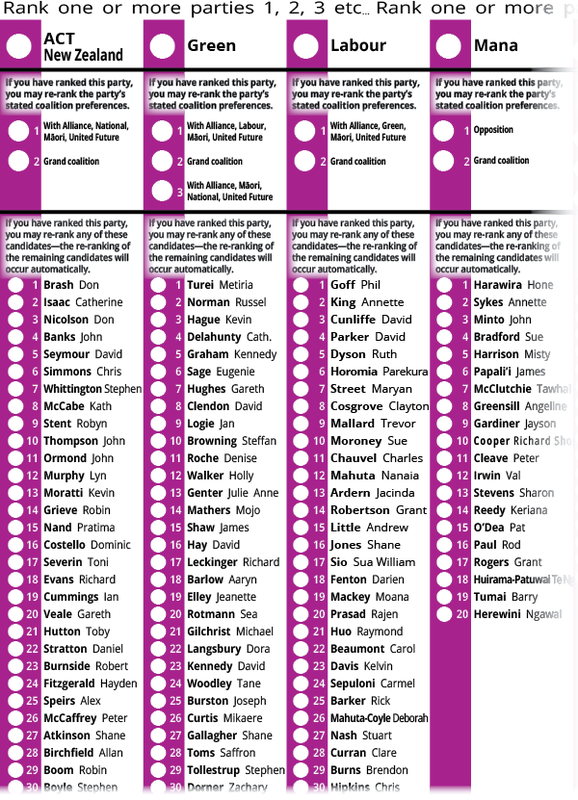 This would be entirely democratic if voters were also allowed to indicate their coalition preferences. Those who abhor Winston Peters’ anti-immigrant dog whistling, for example, could vote that their party did not go into coalition with New Zealand First. The precautionary approach would be to introduce coalition preference as a non-binding option for voters. Then, after a number of electoral cycles, and provided that sufficient voters were engaging, it could be made binding on parties. Long-term it is likely to benefit smaller parties by discouraging opportunistic bids for power, such as those that have caused New Zealand First’s frequent falls from favour. That the mixed member system has survived Winston Peters misuse of it is a minor miracle. 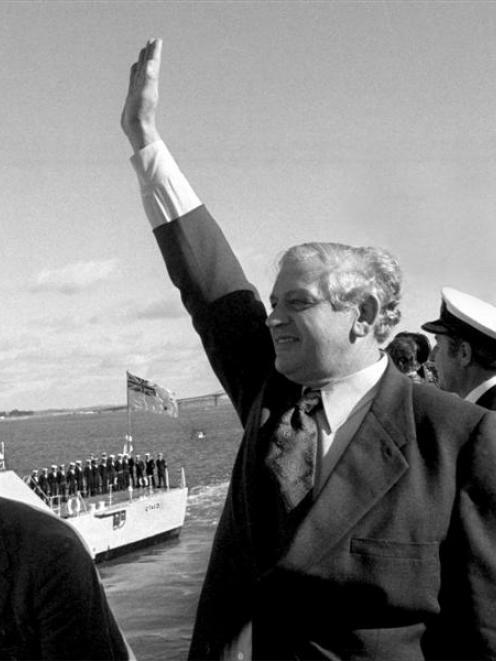 Had a third, binding referendum been held after he held the country to ransom for nine weeks while he engineered a compact with the party he’d campaigned against, and 58.62% voted against, it is likely that New Zealand’s experiment with proportional representation would have lasted only one electoral cycle. Small wonder New Zealand First was stripped of 12 of its 17 seats in the following election. After five mixed-member elections, John Key was confident that he could roll back proportional representation, and see it replaced by the breathtakingly undemocratic, first-past-the-post-on-steroids supplementary member system. But even blokey Key, who at the time was hitting preferred prime minister numbers nearly that of Ardern and English combined, couldn’t strip New Zealanders of their hard-won proportional representation—fewer than one in four wanted a bar of his recommended option. Compared to that, Key’s $21.8 million fern-flag fiasco, supported by just 43.27%, was a triumph. You and we are different races. We have between us a broader difference than exists between almost any other two races. Whether it is right or wrong I need not discuss, but this physical difference is a great disadvantage to us both, as I think your race suffer very greatly, many of them by living among us, while ours suffer from your presence. In a word we suffer on each side. There is nothing inherently undemocratic about having more than one electoral roll, and New Zealand First has badly misjudged the national mode, with only 13% of respondents believing the Māori seats should be abolished as soon as possible. It is true that the seats were originally intended as a temporary expedient, and it’s also true that the 1986 Royal Commission on the Electoral System believed that the mixed-member-proportional system it recommended would provide Māori with more effective representation than then provided by the separate roll. In the event, the game-changing shift from the two-party parliaments to coalition government resulted in Māori representation becoming much more effective, to the consternation of, amongst others, Prime Minister Helen Clark. In 2004, she discovered that Māori she labelled haters and wreckers were prepared to walk away from the 61-year paternalistic relationship over which Labour had presided, over her Foreshore and Seabed Act. President Trump has demonstrated the dangers of not fixing what was clearly broke with the United States’ byzantine electoral college system that allowed him to become commander in chief of the world’s most dangerous military, with nearly three million2,864,974 votes fewer than his marginally less unpopular rival. But at least the United States provides a semblance of democratic process in determining who holds its highest office—in Aotearoa, endless speculation has it that Mr ‘No Means No’ Peters could have himself installed as prime minister as the price of his 10%-party’s support. The party-vote threshold should be lowered from 5% to 4%. But regardless of the need to make these tweaks, and many others, the evidence-based route to a healthier democracy is to ensure a robust turnout. Just 25.5% of eligible Americans—deplorables as Clinton unkindly categorised them—voted Trump into office. In October, Phil Goff was elected mayor of New Zealand’s metropolis by just 18% of eligible voters. Unrepentant neoliberal he may be, but it would have been all the same if it had been a two-horse race and a racist demagogue was rampant in the powerful mayoral office, with barely two-digit-percentage voter support. Given that allowing voters to rank their preferences for mayor is the only tweak required to ensure that such a scenario never plays out, New Zealanders are hardly in a position to condemn Americans for their pathological reluctance to repair their blighted but beloved instruments of democracy. Meritocracy contradicts the principle of equality … no less than any other oligarchy. The great neoliberal experiment in leaving people behind is an international, and abject local, failure, not least of all economically. The minimal-democracy approachWrestling with Democracy: Voting Systems as Politics in the 20th Century West, Pilon, 2013 that encourages conflation of policy and personality permitted Rogernomics to be quietly cemented into place under David Lange’s lenient, indirectly-elected rein. Where it should be a direct-democracy world-leader, Aotearoa has made an artform of the non-binding referendum, and consequently is poorly ranked in that regard. No effort should be spared in seeking the greatest involvement in the democratic process, particularly when doing the smart democratic thing, such as holding local and general elections concurrently, also halves their cost. 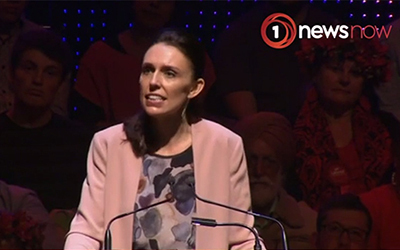 National was initially confident that the Jacinda Ardern-quake was only going to cause the liquefaction under the Greens and New Zealand First. But with its numbers now hurting, and with the Dunne rebar rudely removed, there is no reason to suppose National’s façade won’t topple into the street. 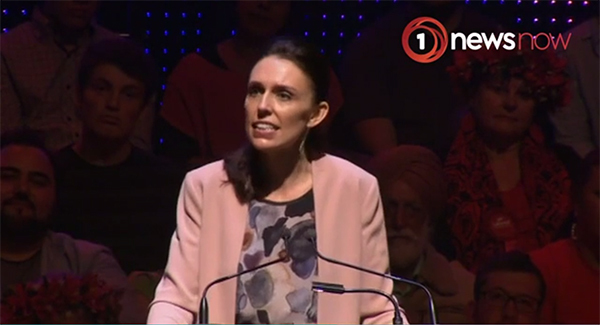 With Ardern already wiping an overflowed town hall floor with English in the favourability ratings, language putting his lackluster party second will become overwhelming.